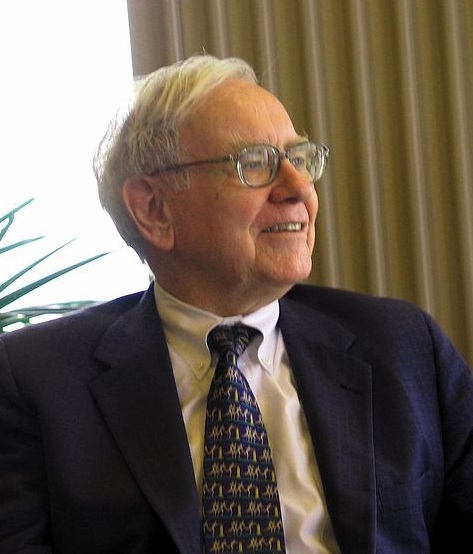 In 1930 Warren Buffett was born in Omaha, Nebraska. He is the only son of U.S. Representative Howard Buffett and the second of three children. In 1942 Buffett began his education at the Rose Hill Elementary School in Omaha while at the same time his father was elected to his first term in the US Congress. Buffett and his family moved to Washington D.C. and Warren finished out his elementary school there. Warren Buffett attended Alice Deal Junior High School and then Woodrow Wilson High School where he graduated in 1947. His father had a brokerage company and maybe he lit up this fire in the young Warren. His yearbook said that he would be a “future stockbroker.” As a young person, he took an interest in saving and making money. He sold Coca-Cola, weekly magazines and chewing gum door to door. He also worked in his grandfather’s grocery store. In high school, he made money selling golf balls, delivering newspapers, detailing cars, and selling stamps. For his first tax return, he deducted his watch and bicycle which he used on the paper route for a deduction of $35. In 1945 while in school, he bought a pinball machine with a friend and they put it in a barber shop. After several months they had numerous machine sin barber shops. He had an interest in the stock exchange when he was very young and even visited the New York Stock Exchange at the age of ten. At age 11 he used his own money and bought three shares of Cities Service Preferred and gave three shares to his sister. He invested in a business his father had in high school and also bought a farm. By 1950 he had graduated with a Bachelor of Science in business administration at age 19. In 1951 he earned a Master of Science in economics and also attended the New York Institute of Finance. From 1951-54 he was employed at Buffett-Falk & Co. where he was an investment salesman. He also had jobs at Graham-Newman Corp., and at Buffett Partnership, Ltd., Omaha. He has also been a partner at Berkshire Hathaway Inc. since 1970 and is now the chairman. In 1950 at age 20 he had saved nearly $9,800 dollars which are about $94,000 in today’s money. He met Lorimer Davidson of GEICO insurance and the two of them would become friends with Davidson being a big influence on him. He went back to Omaha and worked as a stockbroker and taught a class at Nebraska-Omaha on investment principles. He bought a Texaco gas station but this wasn’t successful. He married Susan Thompson in 1952 and worked at Graham-Newman Corp. By 1956 he had a personal savings of $174,000 and started Buffett Partnership Ltd., which is an investment partnership. In 1957 he had three partnerships in operation. In 1960 his partnerships expanded to seven. By 1962 he was already a millionaire because of his partnerships. In 1962 he merged all his partnerships into one. He took control of a textile manufacturing firm called Berkshire Hathaway by buying a major stake in it. Buying the company was one of the worst investments of the billionaire because the company was about to go bankrupt, at least its textile business. But what happened is that Warren transformed the company into a financial institution. This is how his famous fund – Berkshire Hathaway was born. In 1970 he became the chairman of the business. By 1979, because of his investments, he had a net worth of $620 million and he hit the Forbes 400 list. He had numerous deals over the coming years including a 7% stake in Coca-Cola Company worth $1.1 billion. On paper, he became a billionaire on May 29th, 1990 when Berkshire Hathaway started selling Class A shares. By 2008 he was the richest person in the world with a net worth of $62 billion. During the crisis of 2008/2009, it’s estimated he lost about $25 billion. Warren Buffett is one of the greatest investors of all times. Currently (2013) his net worth is estimated to be around $53.5 billion, which makes him the 4th most rich person in the world. He made his fortune only investing in ‘good’ companies. His main investment strategy is to buy and hold. One of the most famous quotes on this matter is: ‘The time to sell a good stock is… never‘. A mentor of his is another great investor – Ben Graham, who was known for buying only value. * Investors should remember that excitement and expenses are their enemies. And if they insist on trying to time their participation in equities, they should try to be fearful when others are greedy and greedy only when others are fearful. * After all, you only find out who is swimming naked when the tide goes out. * I try to buy stock in businesses that are so wonderful that an idiot can run them. Because sooner or later, one will. You can watch a nice video about the life of the famous investment guru here. Don’t miss reading the story of another great investor – George Soros. It is a great and engaging reading, too. Please use the social buttons if you like the article. Also feel free to add your comments below and tell us how do you find it. Thank you!